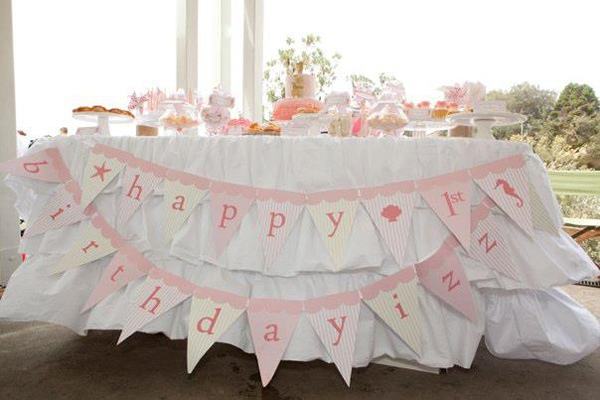 If you’re planning a birthday party and you’re stuck for inspiration, our parties section is a great place to start. Click through to find out all the details and refresh your memory with awesome party photos from our real-life parties featured in the months of April, May and June 2013. 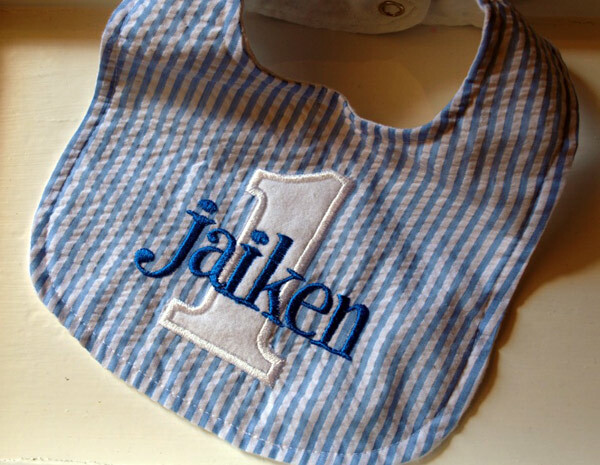 We adore a first birthday, there’s something really special about friends and family coming together to celebrate the milestone of those first twelve months of fun. 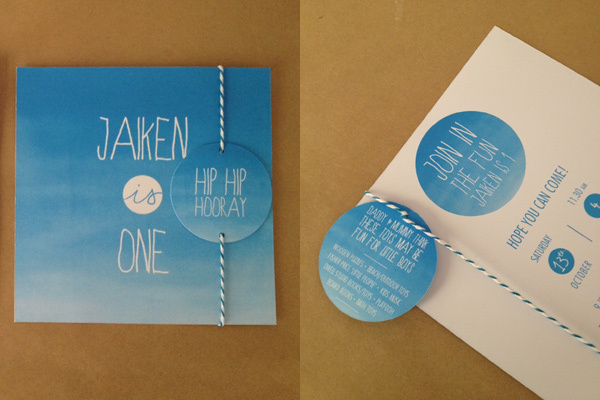 Jaiken’s little boy blue birthday party had a definite theme, with much of it awash in a delightful sea of blue – from the invitations, to the amazing cake and macaroons – all coloured blue! 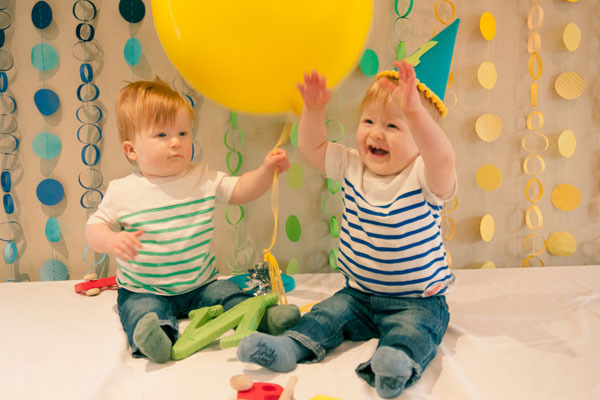 It was twice the fun with twin boys celebrating their first of many birthdays together with an amazing party as seen in their Aidan & Ollie’s color block birthday post. 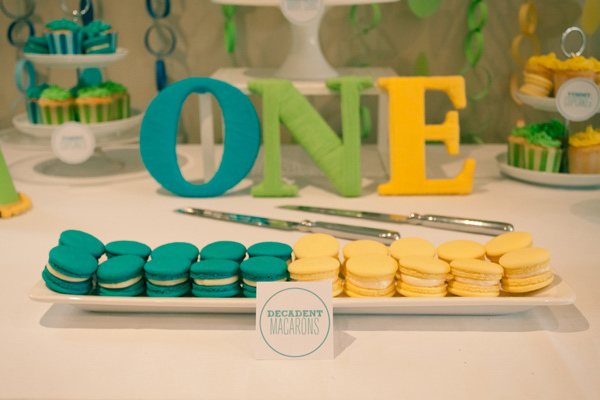 Mum Beth turned to the creative bible that is Pinterest to source her really lovely party ideas and came up trumps on the day! 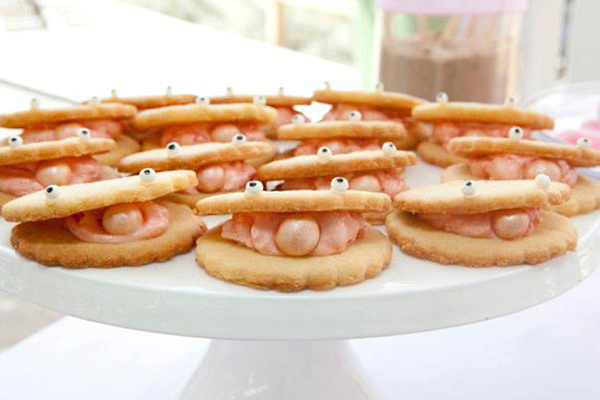 Izzy’s beside the seaside birthday was a magnificent display of all things beach themed, including these almost too cute to eat oyster-with-pearl biscuit treats. 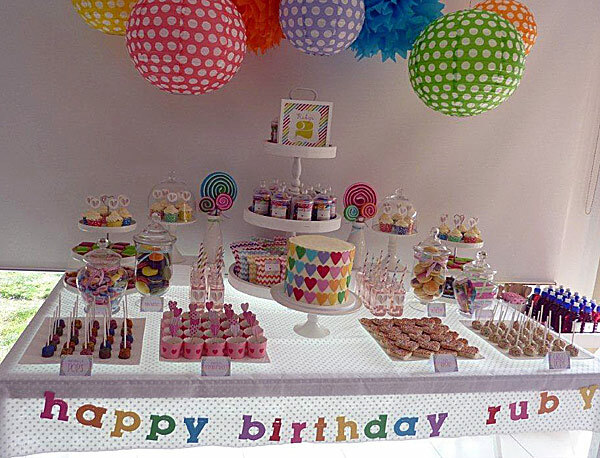 One super sweet little girl celebrated her second birthday amid a rainbow of colour with Ruby’s love hearts and lollipops birthday. A gorgeous day filled with love hearts and all the colours of the rainbow, carefully put together by Ruby’s amazing mum Rebecca. 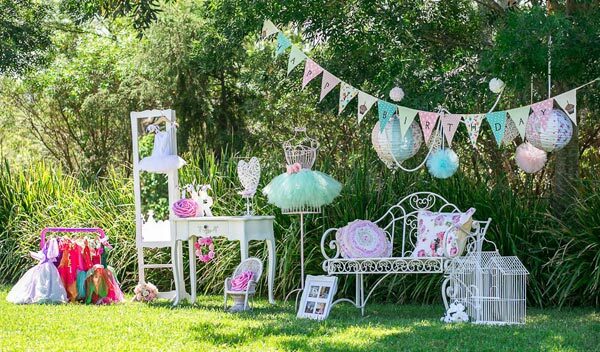 For a party filled with all things pretty, frilly and polka dotted you need to cast your eye over Raya’s beautiful ballerina birthday. 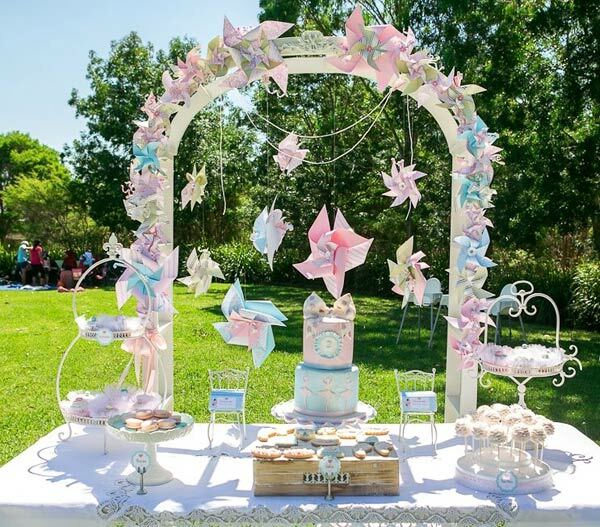 No party detail was forgotten for Raya’s gorgeous third birthday – be sure to check it out for some seriously pretty and ballerina themed eye candy! 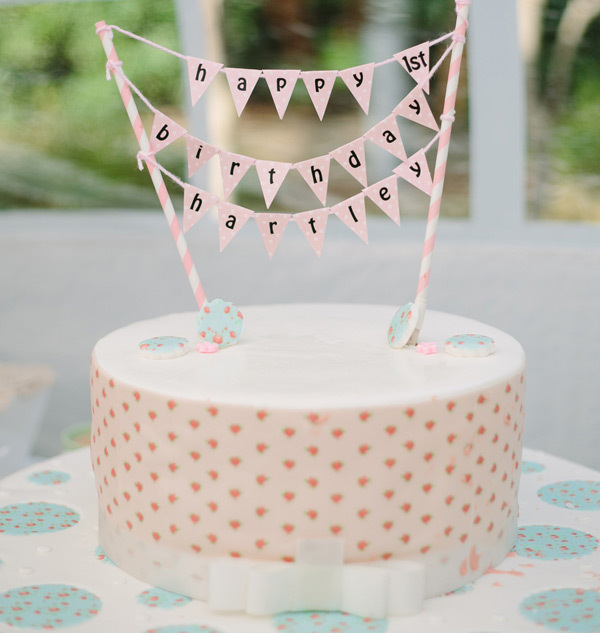 Nothing says it’s time to party like bunting, and I’m absolutely enamoured by the wee bunting on this birthday girl’s cake. 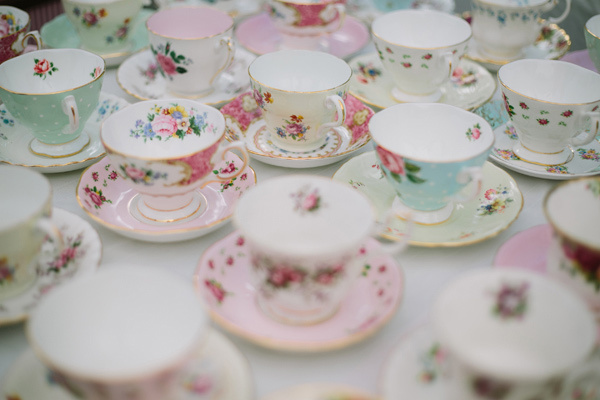 Hartley’s sweet garden tea party was a day filled with old fashioned bunting, beautiful vintage tea cups and finger food aplenty! 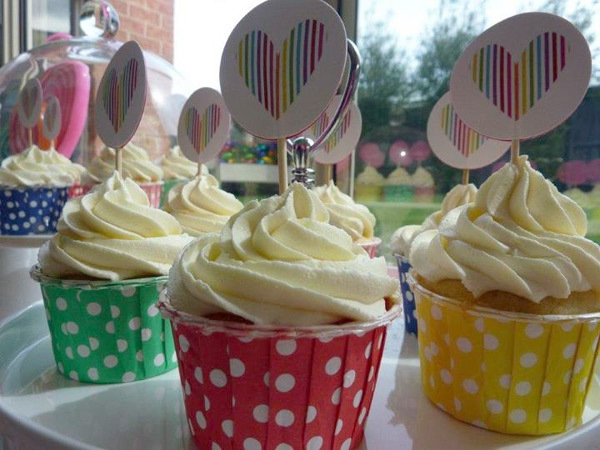 For more party posts, make yourself a coffee and prepare to lose an hour or two while you dive into our parties topic section!